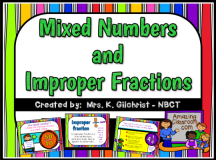 This Notebook lesson shows your students the step-by-step process of how to change mixed numbers into improper fractions and improper fractions into mixed numbers. This lesson contains a container activity where students have to identify whether the image is a mixed number or improper fraction. There are several voting pages, as well as many problems for students to practice at the board. It also has a worksheet embedded into the lesson. Your students will have fun learning about the hard c and the soft c sound. This Smart Notebook lesson walks your students through a story and their special friends that help your students to remember when a c says "k" or when a c says "s". This Notebook lesson includes tons of activities, as well as questions to use with your voting devices. Enjoy! 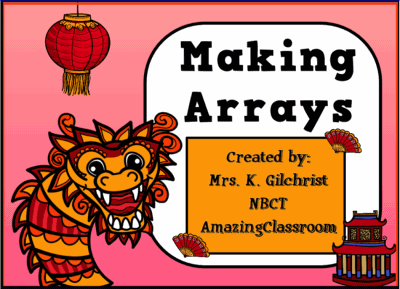 Help your students to understand multiplication through making arrays! This Smart Notebook lesson explains multiplication and how students can make arrays to help them find the product of numbers. Students will make their own arrays and match pictured arrays to multiplication equations. This file also includes tons of interaction and practice, as well as voting pages to use formatively or summitavely with your students. 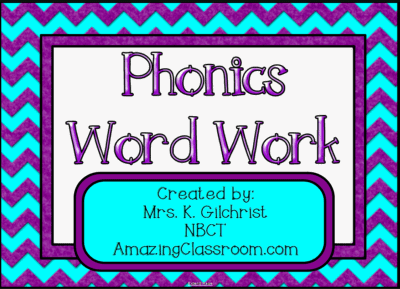 This smartboard file includes 19 different phonics and word work activities for your students. From choosing between oi, oy, er, ir, or ee and ea, to syllables, consonant blends, digraphs, silent letters, and syllables, your students will have tons of practice. 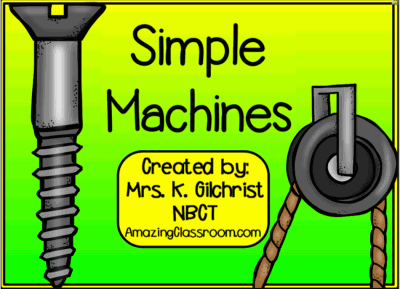 Use this lesson as a station activity, in reading centers, or in guided reading groups. A table of contents is provided to move through activities with ease. Enjoy! This 40+ page Smarboard lesson is jam packed with interactivity for your students. 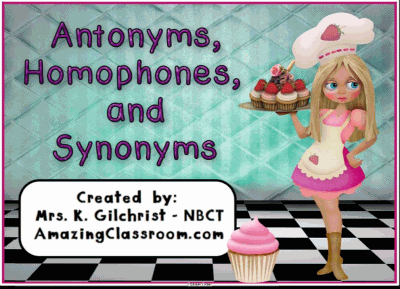 After they initially learn about synonyms, antonyms, and homophones, they will be led through over 30 pages of container activities. This file also contains ten response voting pages, an embedded pdf activity page, online games, and more! Your students will be sure to love this dessert themed, Smart Notebook lesson! Teach your students how to make inferences with this thirty page, interactive, Smart Notebook Lesson. Your students will get to read stories, draw conclusions, use background knowledge, and information from the text to complete the interactive activities within this file. 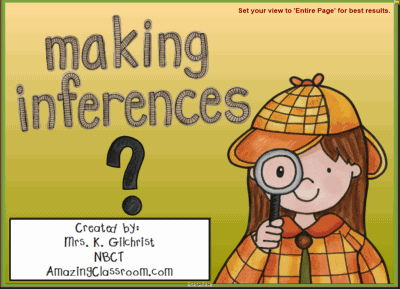 Containers, magic revealers, voting, and outside resources fill this lesson and make learning how to infer super fun. A "what's in the bag" mini-game is also included! Enjoy! 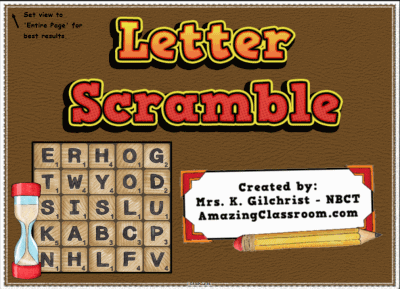 This game is perfect to use as a word work activity, spelling game, center activity, or as a whole class game. Divide students into two teams and have them race the clock to find as many words as they can in the jumbled puzzle. The team that finds the words that are worth the most points wins the round. This Smartboard file contains ten game boards to keep your students playing over and over again! Enjoy! Your students will surely know how to identify fractions after using this adorable, interactive, and totally engaging Smart Notebook lesson. 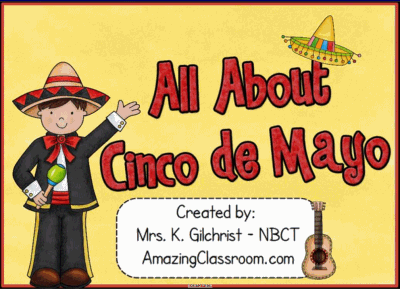 This file includes 24 pages of interactivity for your students. This includes a title page, common core state standards correlation, fraction examples, container activities, voting questions, and online games. 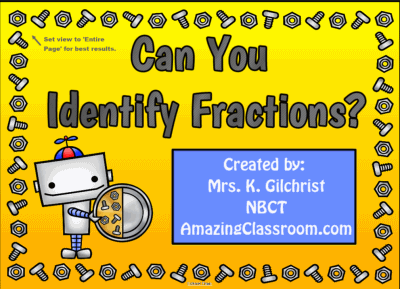 This introduction to fractions lesson is sure to please and engage your students.